The Arts are a physical expression of emotion and passion that can be shared with others. They help to build and define society, give rise to culture, and meaning to life. 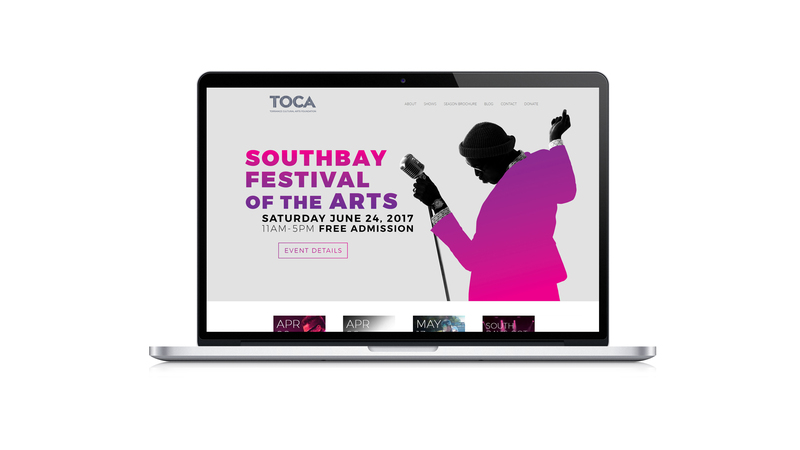 Ashcraft was honored to work with the Torrance Cultural Arts Foundation in the design and brand identity for the upcoming inaugural Southbay Festival of the Arts. 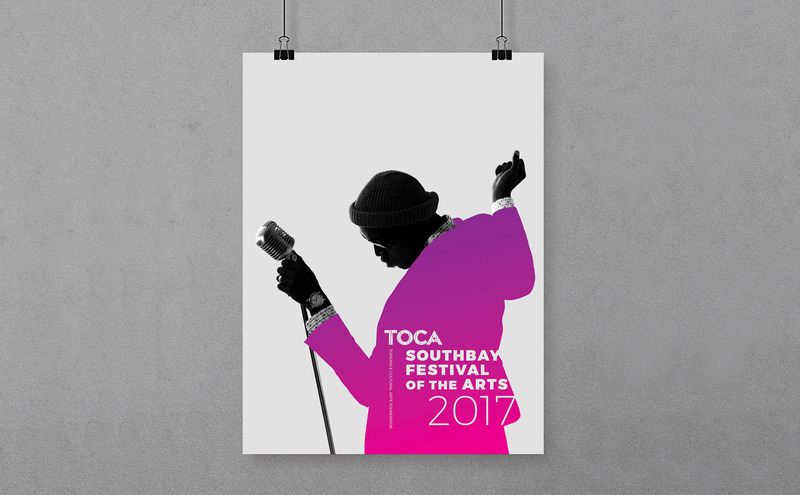 It is a celebration of the diversity of the Arts by providing a collaborative showcase of all the amazing talent in the region. 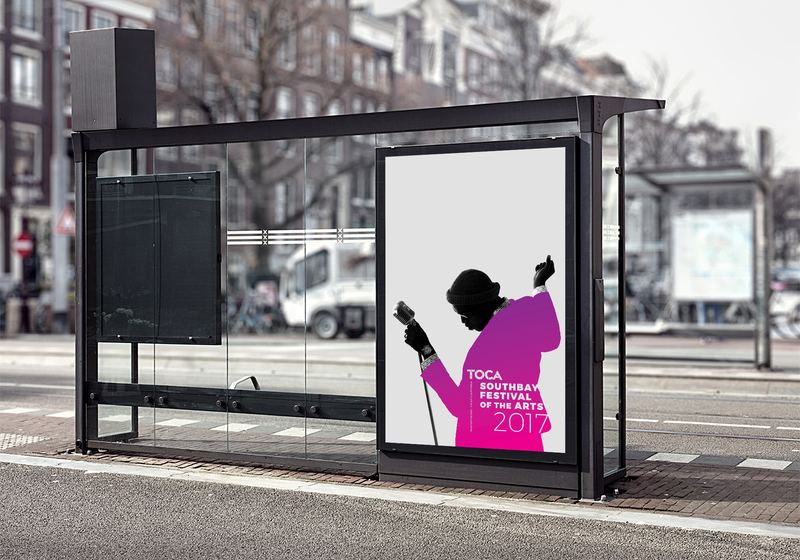 We did the graphic design and brand strategy for the festival. 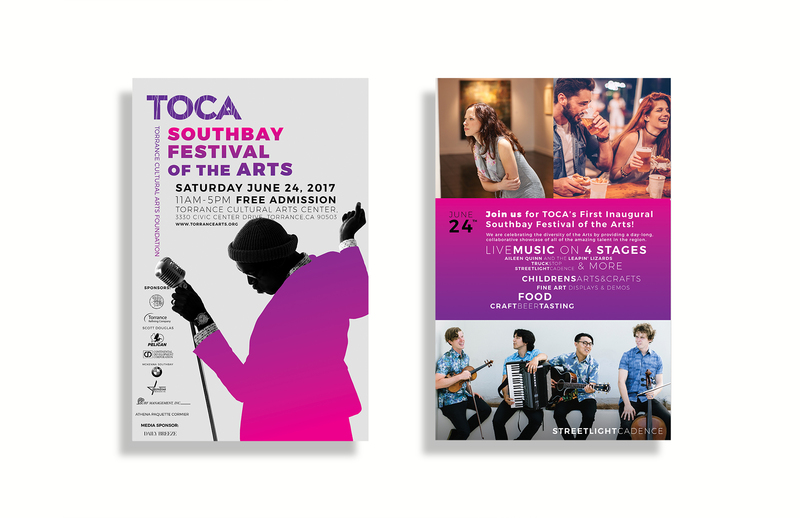 We designed the commemorative posters to be bought, posters for businesses to hang and advertise, banners, postcard mailers, tri-fold brochures, as well as the festival’s web presence. The arts create the culture that defines society. The branding captures that energy and emotion of the arts and impresses it upon the viewer. 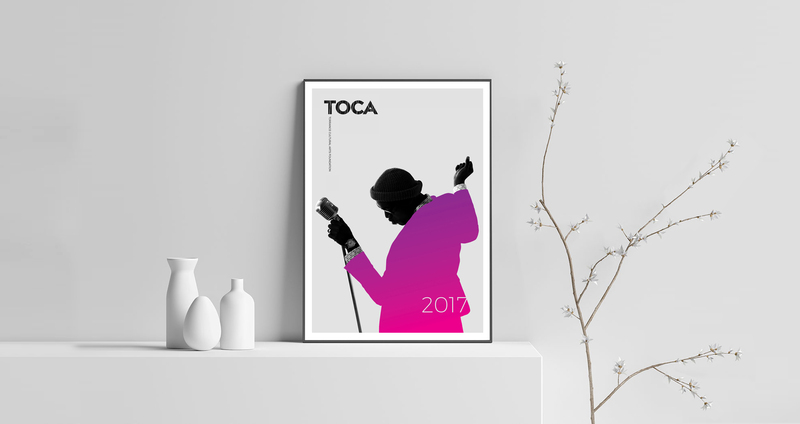 We wanted to capture how colorful and energetic the Arts were in one simple iconic image through the use of vibrant color, dynamism, and bold simplicity. It would be the one image that would anchor all other materials and related information on which the festival would build and become known for. The goal was to transfer the energy captured, to the soul of the person looking at the image. This would evoke feelings of curiosity and beauty, driving people to visit the festival with friends and family, in the hopes that the things experienced would make their lives, if anything, a little bit better.